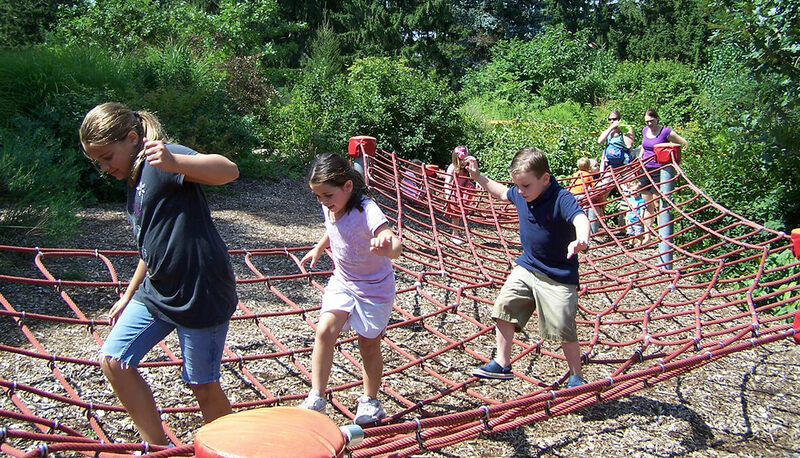 As part of the Morton Arboretum’s “Branching Out!” program, Hitchcock Design Group was selected to develop EDAW’s schematic concepts for the Children’s Adventure Garden, from design development to construction documentation. 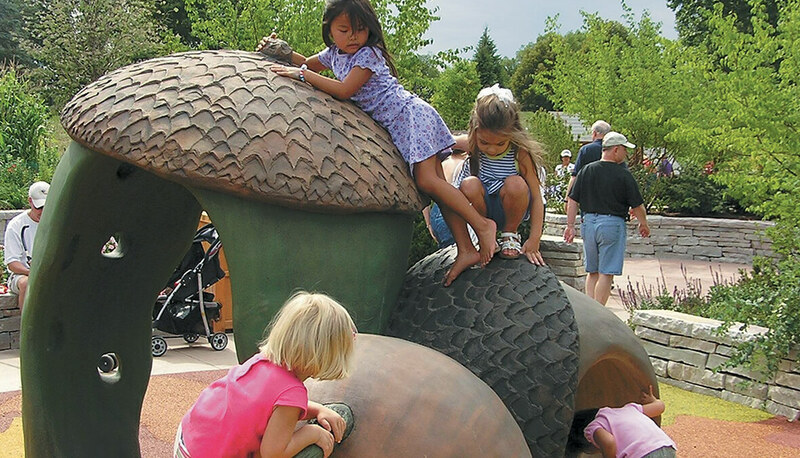 By engaging children and families in educational and playful interaction with nature, the Garden advances the Arboretum’s mission to help people learn about and appreciate trees. 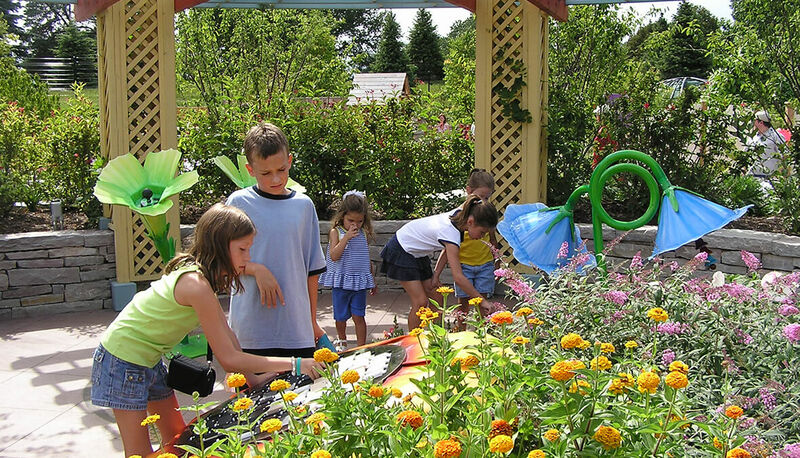 In the Backyard Discovery Gardens, visitors study roots, stems, leaves, flowers, seeds and fruits through interactive exhibits, including larger-than-life models that kids can crawl through and explore, and extensive plantings that showcase common as well as unusual and contorted specimen plants. 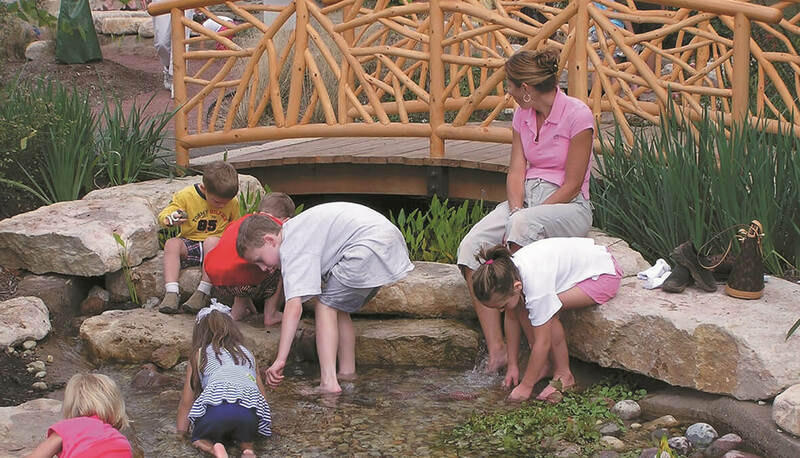 Outdoor classrooms and hands-on gardening areas provide visitors a variety of environments in which to investigate and celebrate plants. 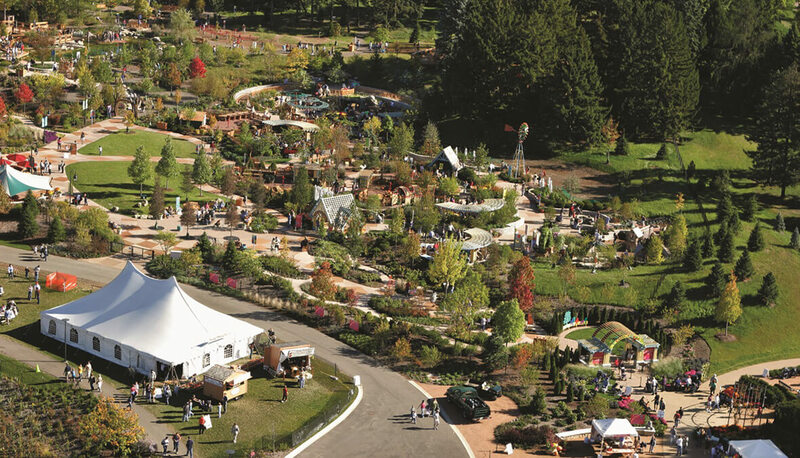 A rotating granite ball fountain in Tree Finder Grove teaches visitors about the unique leaf shapes found in nature. The elevated boardwalk system of Adventure Woods lifts visitors into the boughs of 60-year-old trees at the Evergreen Lookout.